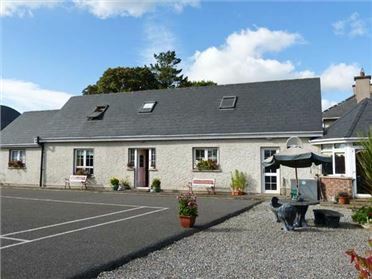 Ardvarna is a detached bungalow set just outside Ballaghaderreen. 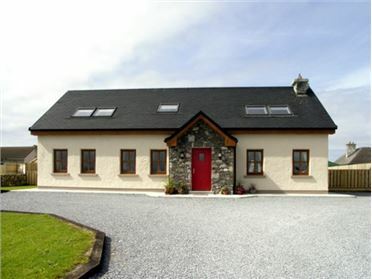 The cottage sleeps six people in three bedrooms which are made up of two double rooms and a twin room. There is also a bathroom and a shower room. Completing the accommodation is a kitchen with a dining area and a woodburning stove, a utility, a dining room and a sitting room with an open fire. Outside there is off road parking for three cars and a lawned garden with a patio. 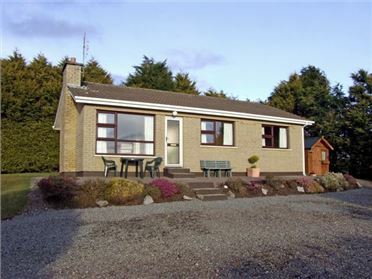 Ardvarna is conveniently set just 12 miles from Knock International Airport and provides a fantastic base for friends and families. All ground floor. Three bedrooms: 2 x double, 1 x twin. Bathroom with bath, shower over, basin and WC. Shower room with shower, basin and WC. Kitchen with dining area and woodburning stove. Utility. Dining room. Sitting room with open fire. Oil-fired central heating with open fire and woodburning stove. 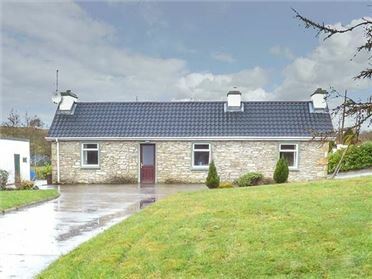 Electric oven and hob, microwave, fridge/freezer, washing machine, TV with Free-to-air channels, selection of books and games. Fuel, power and starter pack for open fire and stove inc. in rent. Bed linen and towels inc. in rent. Off road parking for 3 cars. Lawned garden. One well-behaved dog welcome. Sorry, no smoking. Shop and pub 1 mile.